Originally built c.1964 by Lewis's to replace their nearby store. When opened Lewis's was the city centres largest shop. 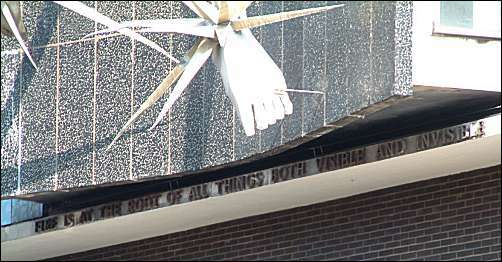 It was integrated into the £45 million Potteries Shopping Centre which opened on 1st June 1988. 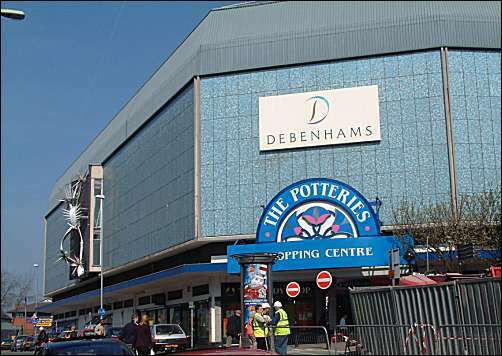 The shop was taken over by Owen and Owen, closed in September 1998 and then reopened as Debenhams. 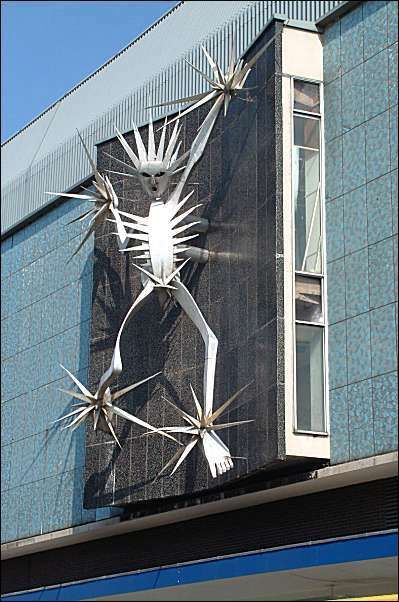 Named by many as "Jack Frost" - the statue was designed by the London sculptor David Wynne. "..it hit me that the sculpture must have something to do with the great fires which dominate the life of the Potteries...."
The statue is made of anodised aluminium. It is 35 feet high and 28 feet wide, it weighs 1.25 tons. "Fire is at the root of all things both visible and invisible"